The AR podcast is a review of the latest news and trends in the analyst ecosystem along with tips and tricks for analyst relations professionals and analyst research consumers. SageCircle strategists Dave Eckert and Carter Lusher co-host this bi-weekly program. 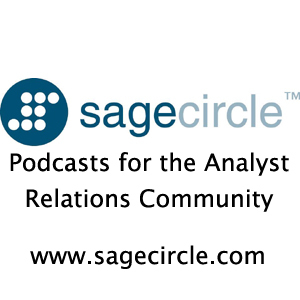 You can find all the SageCircle podcasts on our podcast page. SCP 12: Table of contents. Numbers in parentheses refer to minutes:seconds when the article starts within the podcast.